Morpheus comes home disappointed in Sandman #25-26, but he won’t be the only one: all manner of gods and demons want words with the new Lord of Hell. Meanwhile, the dead walk the Earth and go back to school. 1:27 – P. Craig Russell was probably best known at the time for illustrating Marvel’s adaptation of Michael Moorcock’s Elric saga. 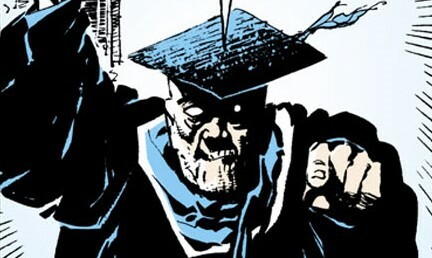 He would later pencil and ink Sandman #50, a story in Endless Nights, and the Dream Hunters miniseries. 4:12 – Not quite. Kvasir was a wise man whose blood was drained and mixed with honey by a pair of greedy dwarves. Odin stole the resulting mead from them by drinking it all and escaping in the shape of a bird. According to Gaiman’s Norse Mythology, Odin regurgitated most of the mead, but shat out a small portion, the latter being the source of bad poetry. 6:05 – Loki’s punishment is depicted in the poem Lokasenna, or “Loki’s Flyting,” in which Loki attends a feast of the gods, wounds those present with precisely crafted insults, and is chased off by Thor. The story then shifts to Loki’s binding with the snake, the sentence for his murder of Balder. 8:16 – We should probably mention that this character is known simply as “Hel” in the original myths. 8:25 – Marvel’s incarnation of Thor faces the World Serpent, who briefly takes on the form or guise of Marvel’s classic dragon villain Fin Fang Foom, in Thor #379-380. 8:42 – In his writing of the Norse gods here, Gaiman seems aware that these characters can’t appear in comics without drawing comparison to Marvel’s popular depictions of them. He goes out of his way – particularly with Thor, who we’ll meet in a moment – to distinguish his versions. In the foreword to his Norse Mythology, Gaiman admits that he first encountered the characters through Stan Lee and Jack Kirby’s comics. 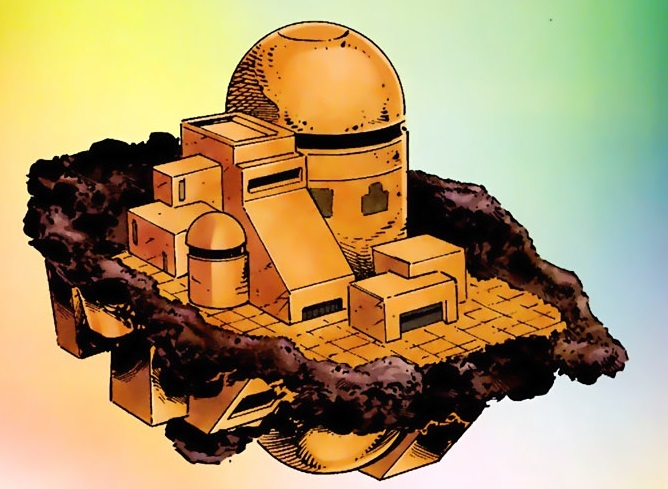 20:01 – Created by Dan Jurgens for 1991’s Adventures of Superman #476, Waverider and the Linear Men are not a Fourth World thing. I had momentarily confused Waverider for Jack Kirby’s New God of neutrality, Metron. 20:11 – Superman/Doomsday: Hunter/Prey was a three-issue miniseries from 1994, written and penciled by Dan Jurgens, in which Superman decided to track down and eliminate Doomsday, the foe who had killed him, once and for all. In the end, Superman proved unable to kill the rampaging monster, so Waverider picked Doomsday up and carried him through time to the moment the universe ended. 20:28 – Here’s a look at the Linear Men’s fortress at the end of time, Vanishing Point. 20:55 – I should have said they leave the Silver City, since we established moments ago that it is not Heaven. 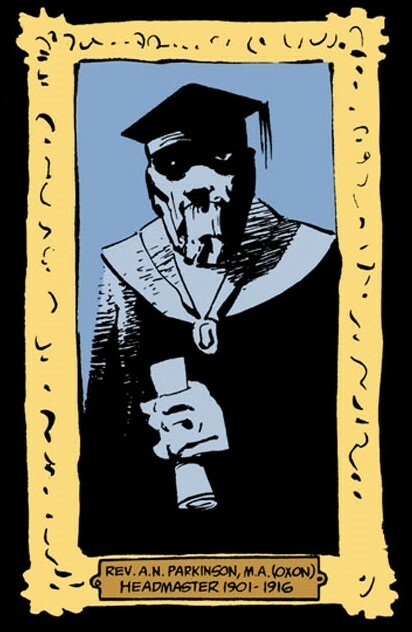 23:38 – For more on Sandman #4, just listen here! 25:29 – As we have mentioned before, Matthew was not always a raven – he used to be Matthew Cable, a supporting character in the pages of Swamp Thing. He became Dream’s raven upon his death in March 1989, barely two years before this issue. 28:52 – Susano-O is the Shinto god of sea and storms, best known for defeating the dragon Yamata no Orochi (by getting it drunk) and appropriating the sword Kusanagi from its remains. 33:26 – If this kind of thing interests you, you might not check out Titan Up the Defense, on which program it has been pointed out that Cory does not eat farts. 35:37 – Sure enough, following the announcement in March that a conclusion would finally be forthcoming, Mage: The Hero Denied began its run in July 2017 with Matt Wagner on writing, art, and covers. 36:50 – Paine’s hat could probably be described as a beanie or cricket cap. 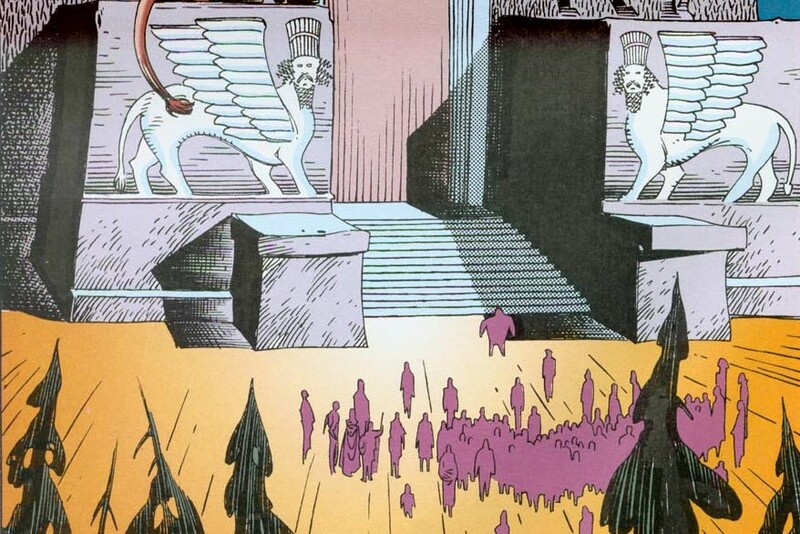 37:31 – A deluge of bird skeletons, oddly enough, was also depicted in Hellblazer #13. 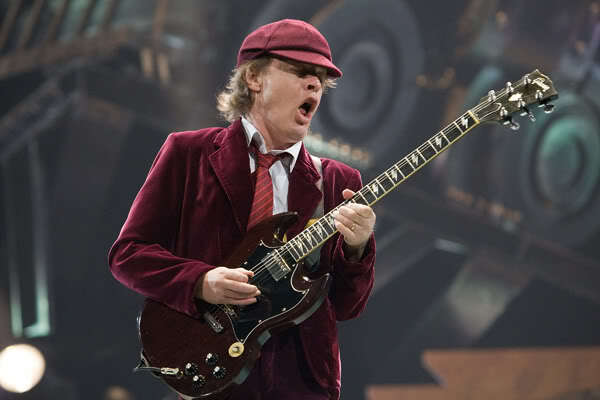 38:20 – AC/DC guitarist Angus Young is known for wearing schoolboy uniforms for live performances, complete with hat. 39:16 – During the 1990 invasion of Kuwait by Iraqi forces under the orders of then-President Saddam Hussein, over 5,000 foreigners present in Kuwait were captured, including embassy staff and, infamously, 367 passengers and 18 crew aboard a British Airways flight that had made a scheduled stopover in Kuwait City. Many were held hostage for weeks or months, with the last hostages set free on December 10, 1990. 39:41 – For comparison, here’s Rev. Parkinson’s portrait (if you look just right, he could have a weird, gritted-teeth grin) and the reverend in the undead flesh. 42:45 – The eagle-eyed will notice that two of the students later confirmed to have died in the war are in fact listed here, five pages before they turn up in the story. 50:56 – It’s probably significant that the old boys’ chosen torture is one that specifically invokes hellish imagery. 51:27 – In case you didn’t know, Eric’s referring to German-American author-illustrator Theodore “Dr. Seuss” Geisel, whose many, many children’s books often featured brightly colored backdrops and strange, lopsided geometries. 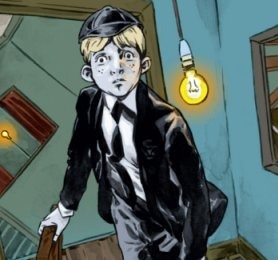 56:36 – Aside from their own 2001 limited series penned by Ed Brubaker, the Dead Boy Detectives also appear in the one and only Vertigo Annual crossover event The Children’s Crusade, show up occasionally in The Books of Magic, and star in a Books of Magic story in the Vertigo anthology Winter’s Edge. They turned up in a Vertigo Anthology one-shot in 2012, and even had an ongoing series that lasted 12 issues in 2014. 56:49 – We covered “24 Hours” along with the rest of the Doctor Destiny story arc – basically, it made us mad! 57:24 – Like “24 Hours,” this issue also goes to show that the horror on Earth doesn’t really affect Morpheus. While he’s entertaining guests, people on Earth are being tormented or killed, and Death’s shown to care about that – Morpheus is not. He’s concerned with his duties, but not with the human impact of the cosmic events that take place in his wake. 1:00:13 – The Dead Boy Detectives’ 2001 limited series featured pencils by Bryan Talbot and inks by Steve Leialoha. 1:01:32 – I would be remiss in not mentioning this moment. 1:03:55 – “Men of Good Fortune,” a light-hearted tale about Morpheus meeting another immortal for a drink every hundred years, fell in the midst of the very dark The Doll’s House arc, with our protagonist literally walking out of that story to go meet his friend. 1:04:16 – That would be At Death’s Door, written and illustrated by Jill Thompson.